Corporate event planning companies understand the need for digital planning tools as they are a must for event professionals, as digital is the way everyone is working today! Corporate event planning companies seek digital planning tools for a wide variety reasons. Their goals for streamlining their processes as corporate event planning companies including increased operational efficiency and an effective way to work with vendor teams and clients. AllSeated provides corporate event planning companies with a collaborative environment updated in real time allowing them to work with vendor teams and clients on guest lists, floorplans, seating, timelines, and more! The use of digital floorplan tools gives you clear, concise picture of the event before it even happens which gives everyone involved in the planning of an event the opportunity to envision the flow of the floorplan. If changes are needed, they are discovered during this part of the planning stage so that they are handled in advance of the event. 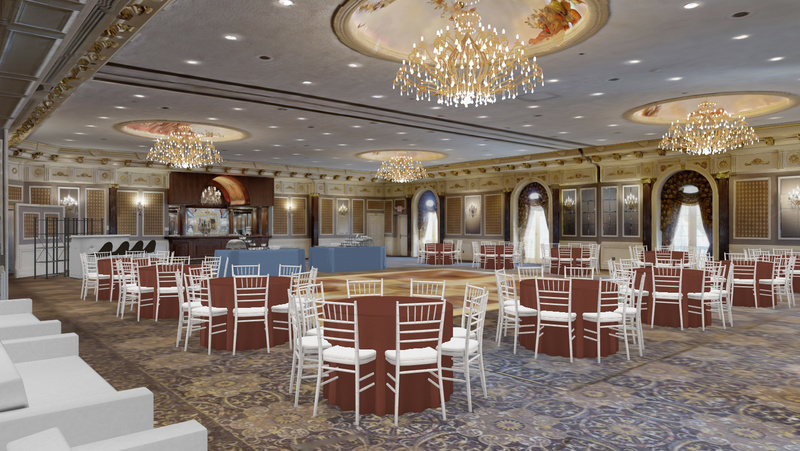 AllSeated’s 3D floorplan tools bring the corporate event to life while you are still in the event planning stages. For example, the 3D floorplan viewing features within your AllSeated account, you are best-equipped to create, assess and visualize the floorplan layout to determine if changes should be made before the day of the event. It’s really easy to switch between 2D viewing and 3D viewing as well. AllSeated’s 3D options, Bird’s Eye view and 1st Person view, allow you the flexibility to view your 3D floorplan from various perspectives to ensure you are happy with the event floorplan diagram. AllSeated’s 3D floorplan tools and virtual reality technology provides the opportunity for virtual walkthroughs before an event takes place. Virtual Walkthroughs save time and remove chance of error while also eliminating the need for both on-site and in-person meetings. This plays a HUGE role in the planning of events, especially destination weddings and other destination events! Corporate event planning companies understand the added value that AllSeated’s guest list provides to the event planning process. Guest list features include guest name and mailing address organization which can be entered manually or imported from Facebook or Excel. The guest list also includes sections for meal type information, RSVP tracking, and a section for notes. With a direct link from the guest list to seating, it’s really simple and efficient to seat guests within the floorplan layout. Easily drag and drop guests at the desired tables within the floorplan, with the additional option to seat guests at specific seats at specific tables if needed. Corporate event planning companies want a seamless event set up and execution for all of their corporate events. With to-scale floorplan diagrams, virtual walkthrough capabilities, and enhanced visualization, event planning professionals find using AllSeated means they are best equipped to design floorplans and collaborate with their vendor teams in advance, removing the chance of error on the day of the corporate event.